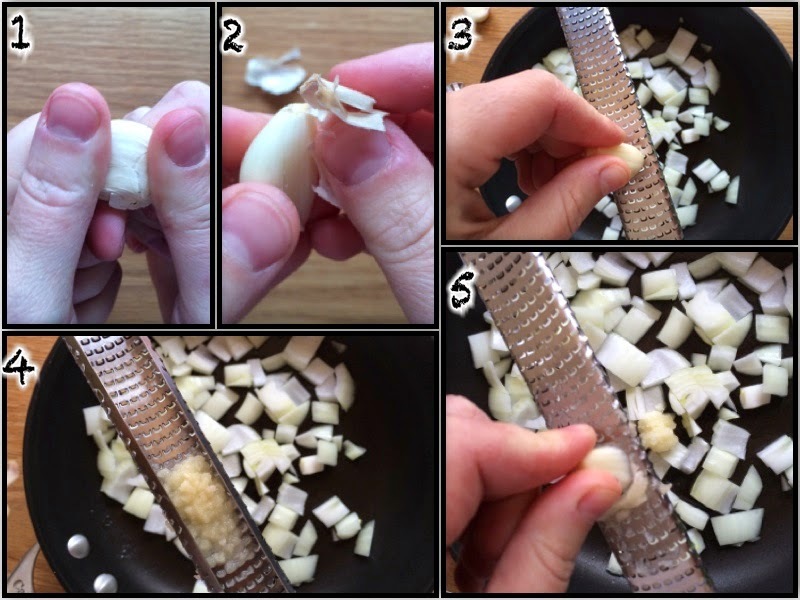 Peel the garlic: Often people whack garlic with the side of a knife to remove the skin. This is not recommend when grating garlic as it’s easier to have the garlic in one whole solid piece. So, to remove the skin, gently bend the clove back and forth to break the skin and remove it. Do not remove the root end. Grate the garlic: Holding the root end, grate the garlic using a zester directly over the saucepan or dish. Tap the zester against the side of the bowl or saucepan to release the garlic paste from the back of the grater.